Arbor Technology has introduced a pair of System-on-Module (SOM) products both based on Rockchip SoCs, the RK3399-based SOM-RK391 and the Rockchip PX30-based SOM-RP301. Both modules run Ubuntu, Buildroot, or Android 9.0. Along with the pair of modules, the company has also released the PBA-9000-A, its SOM-Series, single pin-out design carrier board. The Rockchip RK3399 SoC has been a favorite among high-end community backed Arm-based boards over the last couple years, and we’ve covered at least one every month over that period. Recent examples include Arbor’s own EmQ-RK390 Qsevenmodule, Geniatech’s DB9 SBC and Vamr’s 96Boards CE-compatible Rock960 Model C. In contrast, the SOM-RP301 appears to be the first module we’ve seen based on Rockchip’s low-power PX30 SoC. Built around the Rockchip RK3399 hexa-core (2x Cortex-A72 + 4x Cortex-A53) SoC, the SOM-RK391 is designed for high-performance applications such as AI computing, edge computing and machine vision, according to Arbor. SOM-RK391For memory, the RK391 provides 2GB to 4GB of LPDDR4 DRAM and mass storage via 16GB eMMC flash plus support SD Card boot up. The Mali-T860MP4 GPU supports OpenGL ES1.1/2.0/3.0/3.1, OpenVG1.1, OpenCL and DX11. Display support includes eDP, MIPI DSI and HDMI. The compact 69.6 x 70 mm SOM supports extended operating temperatures from 10 to 70ºC. The RK391 also provides WiFi /Bluetooth support including 2T2R 802.11 a/b/g/n/ac for WiFi and Bluetooth 5.0 with real simultaneous dual-band (RSDB). You also get 2x MIPI CSI RX camera interfaces with 13MP ISP. For I/O you get 4x USB 2.0, 2x USB 3.0 2 (Type C), 2x 2-wire UART ports and 2x 4-wire UART ports. There’s also support for RTC, 10-bit 1MS/s ADC, SDIO, DIO, GPIO, SPI and I2C. The SOM-RP301 meanwhile is based on the Rockchip PX30 Quad-Core Cortex-A35 processor and measures a compact 70 x 50 mm. Arbor touts the board for its low power consumption, flexible thermal management, cost-efficiency and its suitability for IIoT applications. The combination of its hardware media decoder and processing power makes it a fit to implement in retail kiosks such as electronic restaurant menus, automated currency exchange machines, ticketing kiosks and so on, according to Arbor. SOM-RP301The SOM-RP301 offers provides 1GB to 4GB of LPDDR4DRAM and mass storage via 16GB eMMC flash plus support SD Card boot up. The Mali-T860MP4 GPU supports OpenGL ES1.1/2.0/3.0/3.1, OpenVG1.1, OpenCL and DX11. Display support includes LVDS and MIPI DSI, and those interfaces share the same pinout. Like the RK391, this modules also supports extended operating temperatures from 10 to 70ºC. The RK391 also provides WiFi /Bluetooth support including 1x 802.11 a/b/g/n/ac for WiFi and Bluetooth 4.0. You also get 1x MIPI CSI RX camera interface with 8MP ISP. For I/O the RP301 provides the all the same ports as the RK391 as described above. Despite the fact that Arbor touts the RP301 as a low power solution, its datasheet currently says “TBD” for the board’s power consumption. Arbor’s PBA-9000-A Carrier Board for its SOM-series features a single pin-out design that enables it to easily support future boards in the Arbor SOM-series CPU Board family. The PBA-9000-A’s I/O configuration supports all of the interfaces on the SOM-series boards. More information on the three boards can be found on the announcement page. No pricing was provided. Links to datasheets for the SOM-RK391, SOM-RP301 and PBA-9000-A boards can be found on Arbor’s ARM-computing product page. This article originally appeared on LinuxGizmos.com on April 8. ON Semiconductor has introduced its RSL10 Multi-Sensor Platform powered only with a solar cell. This complete solution supports the development of IoT sensors using continuous solar energy harvesting to gather and communicate data through Bluetooth Low Energy (BLE), without the need for batteries or other forms of non-renewable energy. The combination of ultra-low-power wireless communications, small form-factor solar cell and low duty cycle sensing applications makes it possible to develop and deploy totally maintenance-free IoT sensor nodes. The RSL10 Solar Cell Multi-Sensor Platform is enabled by the RSL10 SIP, a complete System-in-Package (SiP) solution featuring the RSL10 radio, integrated antenna and all passive components. For easy development, the platform is supplied with all design files (Gerber, schematic and BoM) and customizable source code as part of a CMSIS software package. The RSL10 Solar Cell Multi-Sensor Platform is available now from ON Semiconductor. Eurotech has announced that its BoltCOR 30-17 Intel Xeon D-based Edge Server has passed VMware vSphere certification tests and is part of the VMware Hardware Compatibility List (HCL). The HCL lists all of the hardware components that are supported by each version of ESXi/vSphere. This allows the company to offer configurations to the market that can be combined with VMware vSphere certified and validated. The BoltCOR 30-17 family of powerful, ruggedized edge servers is designed for demanding and rough environments for markets like transportation, Industry 4.0/manufacturing, smart energy or retail. The BoltCOR 30-17 is a fanless EN50155 certified server with many configuration options, that is designed to exceed the requirements of rolling stock applications in the TX temperature class. The edge server’s compact 19” 1U rack-mount short-depth form factor allows it to be deployed even in most space-constrained on-board and track-side installations. Combined with VMware vSphere these systems enable system developers to gain also outside the traditional data center (in the field) similar positive effects that enterprise IT has experienced in hyper-converged solutions. U-blox and SolidRun have announced a collaboration on a range of connectivity products for the IoT, including turnkey IoT Edge Gateways for indoor and outdoor use, SBCs and System‑on‑Modules (SOMs). Each of the new solutions incorporate a u-blox NINA stand‑alone single-, dual- or multi‑radio module, providing the connectivity required by IoT applications in a small, low power and fully certified format. During Embedded World 2019, SolidRun formally introduced its latest product: the SolidSense N6 Edge Gateway (shown), an enterprise‑grade IoT M2M gateway designed to manage a local network of IoT endpoints. The N6 Edge Gateway is a fully enclosed fan‑less design in configurations suitable for either indoor or outdoor installation, making it simpler than ever to introduce Internet connectivity in a distributed network of smart sensors and actuators. The gateways and SBCs from SolidRun feature Wi‑Fi and Bluetooth Personal Area Networking, Wirepas Mesh, cellular connectivity, as well as USB and a 10/100/1000 wired Ethernet interface. They are powered by the NXP’s i.MX6 ARM Cortex-A9 processor in either a single-, dual- or quad‑core configuration (depending on the application’s needs) and also integrate up to 2 GB of DDR3 memory. Before starting your IoT edge device development process, it is wise to spend time preparing for your new project. Planning before you start will limit frustration and save you time and money in the long run. Before diving into the task, study the 15 preparation considerations in this white paper. Kontron has announced two new industrial computers, the KBox A-330-RPI and KBox A-330-MX6, specifically designed for cost-sensitive control and gateway applications. 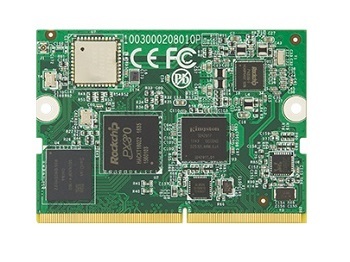 The KBox A-330-RPI is based on the long-term available Raspberry Pi Compute Module CM3+ and can therefore use the huge software pool of the Raspberry Pi community. Equipped with a Broadcom BCM2837 Quad Core Arm processor, the KBox A-330-RPI is compatible with the established Raspberry Pi standards and has been enhanced with industrial features. 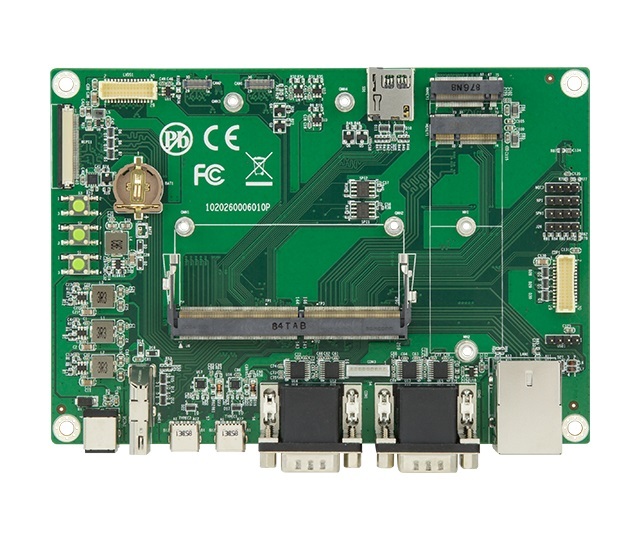 The new KBox A-330-MX6 differs from the KBox A-330-RPI primarily by the Dual Core i.MX6 processor from NXP, which is, like the Raspberry Pi Compute Module CM3+, long term available. In addition, the variant based on the NXP processor optionally offers additional industrial protocol stacks such as EtherCAT, PROFINET, Modbus and CANopen to enable customers to easily integrate control software. Both KBox A-330 variants operate fanless and are designed for industrial control and gateway tasks in control cabinets due to their slim design and the possibility of DIN rail mounting. Two Fast Ethernet ports, RS232, RS485 or CAN and four I/O ports are available as interfaces. A powerful user interface can be operated during commissioning or in the target application via two USB channels and an HDMI connection. With the KBox A-330 family Kontron offers an industrial grade platform that enables connection to various communication levels, serves as a gateway for IoT applications and can integrate sensors and actuators. As operating system Kontron offers Yocto Linux for the KBox A-330-MX6 and Raspbian for the KBox A-330-RPI. On a project basis, applications are realizable that include advanced security features such as secure authentication and data encryption that go beyond normal security requirements. In conjunction with the modular IoT software framework SUSiEtec from Kontron’s sister company S&T Technologies, any applications and cloud solutions on the market—from sensors to edge computers to private or public clouds—can also be connected and supported to develop IoT applications or establish new business models. This white paper introduces an IoT framework that complements and extends the massive investments made by cloud vendors to provide comprehensive IIoT features that can be implemented down to the hardware of the edge or end node devices – and can be ported across platforms and clouds. The benefits of using a framework such as MEIF are abundantly clear: minimize learning curves, simplify implementations, increase code reuse, reduce porting costs, and reduce testing. Nordic Semiconductor has announced that ConnectedYard has selected Nordic’s nRF51822 Bluetooth Low Energy (BLE) SoC to provide the wireless connectivity for pHin, a smart water care solution designed to simplify the care and maintenance of backyard swimming pools and hot tubs. pHin combines an nRF51822 SoC- and Wi-Fi-enabled smart monitor and smartphone app that monitors water chemistry and temperature around the clock and notifies customers when they need to take action. The pHin Smart Monitor floats in the pool or hot tub and continuously monitors water temperature and water chemistry—including pH and oxidation reduction potential (ORP)—and then wirelessly sends the water chemistry data over the Nordic SoC-enabled Bluetooth LE connection to the pool owner’s Bluetooth 4.0 (or later) smartphone and the ‘pHin WiFi bridge’. The data is also available via the pHin Partner Portal, which allows retailers, service technicians, and pool builders to remotely monitor water conditions and provides features that help drive consumers back to their local retailer for chemicals and other products. pHin uses a coin cell battery to achieve over two years of battery life between replacement, thanks in part to the ultra low power consumption of the nRF51822 SoC. Nordic’s nRF51822 is ideally suited for Bluetooth LE and 2.4GHz ultra low power wireless applications. The nRF51822 is built around a 32-bit Arm® Cortex M0 CPU, 2.4GHz multiprotocol radio, and 256kB/128kB Flash and 32kB/16kB RAM. The SoC is supplied with Nordic’s S130 SoftDevice, a Bluetooth 4.2 qualified concurrent multi-link protocol stack. Nordic’s software architecture includes a clear separation between the RF protocol software and the application code, simplifying development for ConnectedYard’s engineers and ensuring the SoftDevice doesn’t become corrupted when developing, compiling, testing and verifying application code.